Folly Beach vacation homes, just as unique as the island itself, range from cozy cottages to large event homes, and everything in-between. Search the Folly Beach rental marketplace here to find the perfect place for you. Folly Beach has always been a part of coastal South Carolina’s history and charm. Nestled between the Folly River and the Atlantic Ocean, just fifteen minutes from downtown Charleston, the barrier island of Folly Beach truly offers you the best of both worlds. Locals refer to our little corner of the world as the “Edge of America”. When you wake up in the morning you’ll enjoy the sunrise on the beach and finish your day watching a spectacular sunset on the Folly River. On the eastern tip of our Island you’ll find an outstanding view of the Morris Island Lighthouse from one of our three county parks. The Fishing Pier, which extends more than 1,045 feet into the Atlantic Ocean, hosts fishing tournaments and if you want to fish, you can rent everything you need at the shop on the Pier. You’ll catch sight of loggerhead turtles nesting, dolphins playing and see bald eagles soaring in the sky. Folly is home to many endangered species and we do our part in protecting and encouraging their continued success. Accommodations range from quaint cottages, ultra modern beach houses, to sleek condominiums and a luxury hotel. So no matter what your budget needs, Folly is sure to fit into it. You’ll also find some of the finest food on the coast here in Folly Beach. Whether you’re looking for a gourmet meal, a seafood feast or a tasty sandwich, you’ll find it here. If you prefer to cook at home, you can shop one of our local markets and prepare fresh local fish in your own kitchen. Folly’s local shops offer a variety of goods and services. Everything from bathing suits, surf boards and surfing gear, to souvenirs, local art, sea shells and gifts – all within minutes in our quaint little town. No matter what your interests – tennis, fishing, kayaking, surfing, theater, arts or beach combing, Folly Beach offers it all year long. In fact our surfing is some of the best on the east coast and Folly hosts a number of surf events throughout the year. 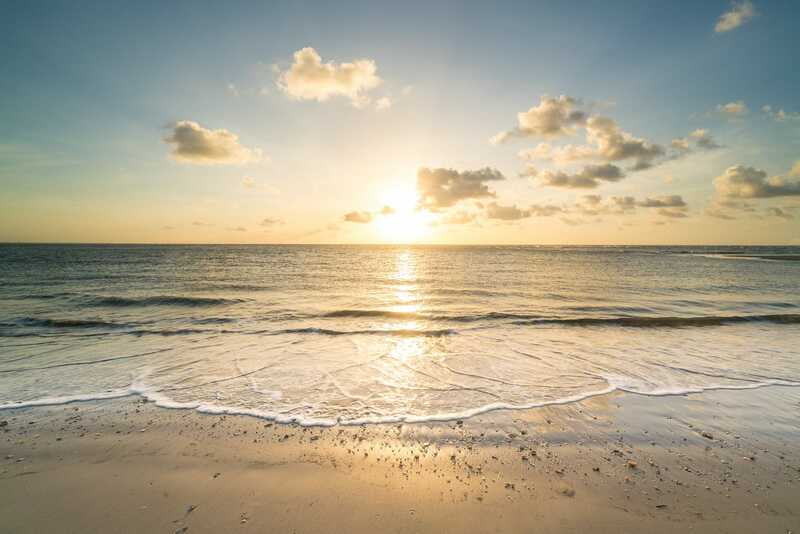 There is simply no place like Folly Beach – and our web site is dedicated to providing all the information you need to have a wonderful time here on Folly Beach, the “Edge of America”. Having a wedding, family reunion or just multiple families vacationing together? Large Folly Beach homes accommodate 15 guests on average but as high as 24. Folly Beach oceanfront homes are diverse, from two-bedroom condos to large event homes. Many have elevators, and some have pools among many other amenities such as roof-top decks. A pool makes for a great freshwater alternative to the salty beach, and the perfect addition to any home rental and FollyBeach.com is the right place to find the perfect one. If you’ve never been to Folly Beach, know that pets are welcome on the beach and with many local businesses. Folly Beach offers a wide range of options for those seeking deep water access, typically for those planning to bring a boat. Check out this option for a couple of people, staying for a couple of nights. Bed and breakfast venues are also great options for events such as weddings. There is arguably nothing more peaceful than going to sleep or waking up to the sounds of waves crashing ashore. What you find in between is a full day of unforgettable views and easy access to a beach that will call you back time and time again. Folly Beach oceanfront homes are diverse, from two-bedroom condos to large event homes. Many have elevators, and some have pools among many other amenities such as roof-top decks. No matter the party size or specific needs, there is an oceanfront property that fits. Just make sure to plan in advance as these select properties book quickly and often require a minimum of seven nights during the summer. Pools have been cropping up at Folly Beach rental homes in recent years to the point guests now have an excellent selection to choose from when deciding on a Folly Beach vacation home. So will a pool really make your vacation that much better? Absolutely! If you are renting a home several rows away from the beach, a pool is a great way to make relaxing in the sun more accessible. Instead of hiking it out to the beach with a ton of gear, the pool just steps outside of the door, with reserved space just for you — everything you need for a fun pool day is right at home. For homes on the beach, there’s just nothing like a pool with a view of the ocean; it’s the best of both worlds. Regardless of location, parents know their Kids love pools, and it’s so much easier to keep an eye on the little ones in a private pool environment. A pool makes for a great freshwater alternative to the salty beach, and the perfect addition to any home rental and FollyBeach.com is the right place to find the perfect one. FollyBeach.com offers plenty of vacation homes that cater to four-legged travelers. There are houses and condos on and off the beach for you to choose from. Make sure to read the fine print as there will most likely be an extra deposit, or there could be size restrictions on the animal allowed. Know what expect in advance. If you’ve never been to Folly Beach, know that so long as you follow the rules, pets are welcome on the beach and due to the laid back atmosphere, many local businesses are pet-friendly. Make sure to bring your four-legged friend by Lost Dog Cafe while you’re in town. Folly Beach is a popular destination for weddings, family reunions, and multi-family vacations. As a result, there are many homes available for large groups. Large Folly Beach homes accommodate 15 guests on average but as high as 24. For larger groups and booked far enough in advance, multiple event homes can be made available for the same dates and typically within close proximity of each other. Large groups not holding actual events on the property will not need to seek special approval. However, actual events held at the home will typically require permission and come with a service fee. Need help planning the event? Our owners, agencies and local professionals can help make sure it’s perfectly designed for maximum enjoyment and in compliance with local rules. Folly Beach offers a wide range of options for those seeking deep water access, typically for those planning to bring a boat. Dedicated deep water rental homes often have private deep water docks to keep your boat, fully equipped with a fish cleaning station, electricity, running water and refrigerator. Check each property for details. Condo units with shared deep-water access are also great options. Mariner’s Cay has a private marina that can accommodate vessels up to 60 feet. Located on Folly River on the northwest side of the Folly Bridge, the complex is located only a mile from the aforementioned pier and is also a short walk to the dining, shops, and bars along Center Street. Another area, Turn of River, offers condos for rent on the Folly River just across the water from the public boat landing. Much like Mariner’s Cay, the downtown hub is mere minutes away on the other side of the Folly Bridge. Keep in mind that Folly Beach is home to Sunset Cay Marina as an option should deepwater lodging not be available. Fortunately, Folly Beach will never be mistaken as a tourist trap, and it has no highrise hotels. For short stays or slightly different experience from a vacation home, there are select hotels and bed and breakfast options on Folly Beach. They are all locally run and range from budget-friendly rooms to waterfront with great dining. Check out this option for a couple of people, staying for a couple of nights. Bed and breakfast venues are also great options for events such as weddings.